AKTA is the brand under which Digital Cable Systems SA provides to the highest standards since 2005, television services, telephony and Internet residential customers, mainly in rural areas and small towns, with the coverage over 2000 Location of the 24 counties. DCS group is one of the most important telecom service providers on the market. The company offers transmission services for cable television, data transmission solutions, internet access and telephony, both for the business segment and for household customers, on the romanian market. DCS includes the AKTA brand which is addressing individual consumers and dial telecom, one of the most important telecom service providers for B2B. 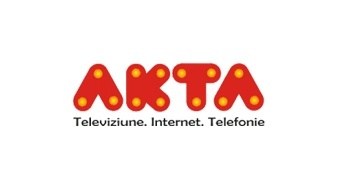 AKTA, the division oriented to individual consumers that provides triple-play cable (TV/internet/telephony) and satellite television direct-to-home (DTH), is one of the few players in the local market offering HD transmissions.